Understanding the Oracle sphere comes down to a few simple truisms, I often tell people. One of the most important of these is 'Larry has spoken' - in this case, Larry Ellison some while ago declared Oracle's salespeople will only be paid commission for Cloud sales. So, perhaps the rise in sales relative to on-premise solutions isn't all that surprising. But, all humour (and memories of previous errors Oracle have made with how they pay their salespeople...) aside, this offers some cause for optimism regarding Oracle's future in the Cloud age. Whilst the market is super-competitive (as I've written about before), these figures show Oracle is suitably shifting its focus for the future, and if the value of the Cloud market is greater than that of the on-premise market, even a reduced 'total market share' could represent significant absolute growth. In Oracle's position, I'd be going on a big recruitment drive, too. What interests me now is the impact this will have on firms offering Oracle consultancy, servicing, support, and so on - and I'd welcome the thoughts of anyone reading this whether actively considering a new role or not. 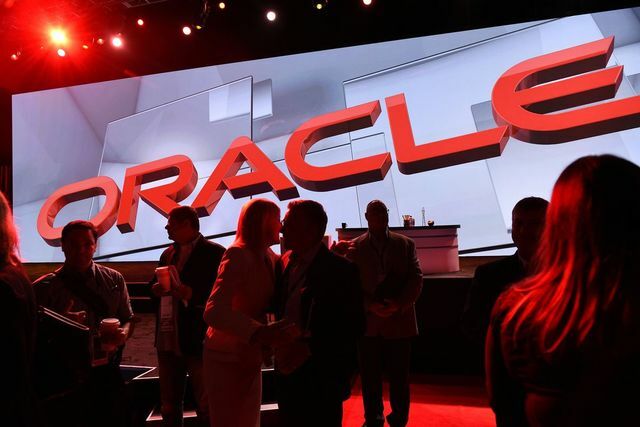 The move comes about a month after the company reported 58 percent year-over-year revenue growth in its cloud businesses, which allows corporate customers to manage data through a network of Oracle-run servers. The company sold $4.6 billion worth of cloud computing software and hardware last year, up from $2.9 billion the year before.